Walking around the edge of Beacon Park, I noticed a pile of moss covered stones in the undergrowth that I’d never seen before. 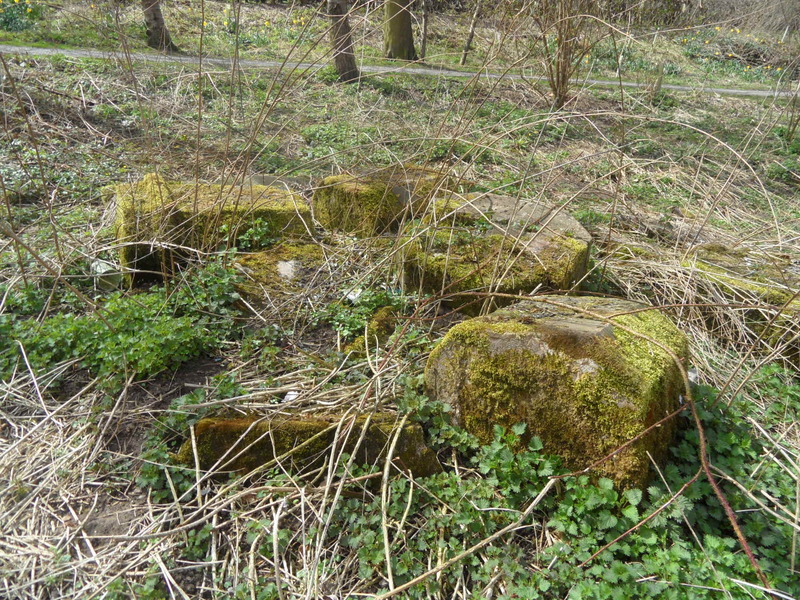 To me, they look like part of an old building, possibly pillars? 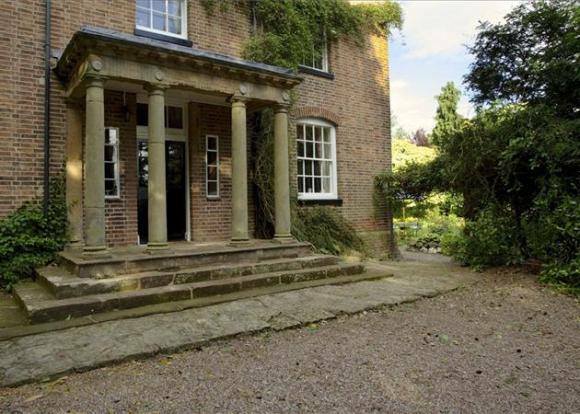 It’s a long shot I know, but does anyone recognise them or have any idea as to where these pillars (if that’s what they are!) may have come from? Whilst on the subject of ‘parts of old buildings found in unexpected places’, I have to mention my old favourite Fisherwick Hall. 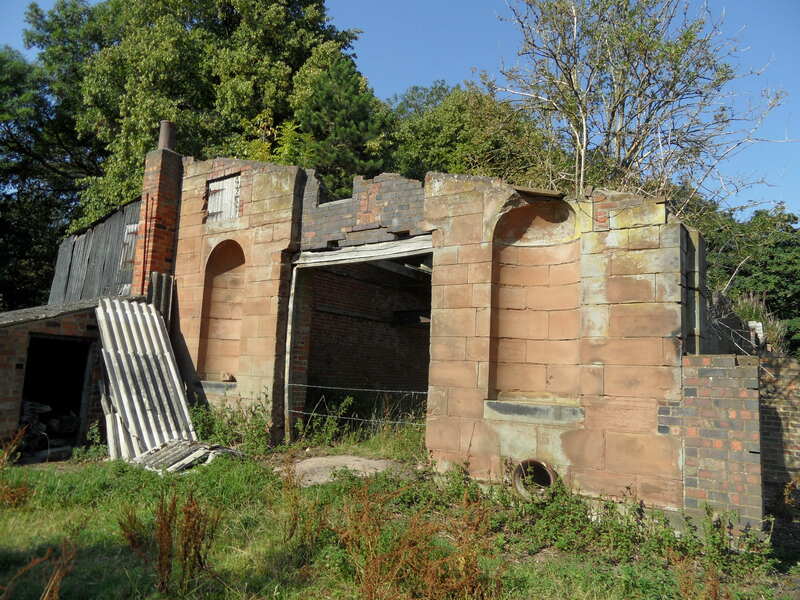 Back in January, I wrote an article for the Lichfield Gazette which mentioned that the hall had been demolished, but that parts of it had been reused elsewhere. 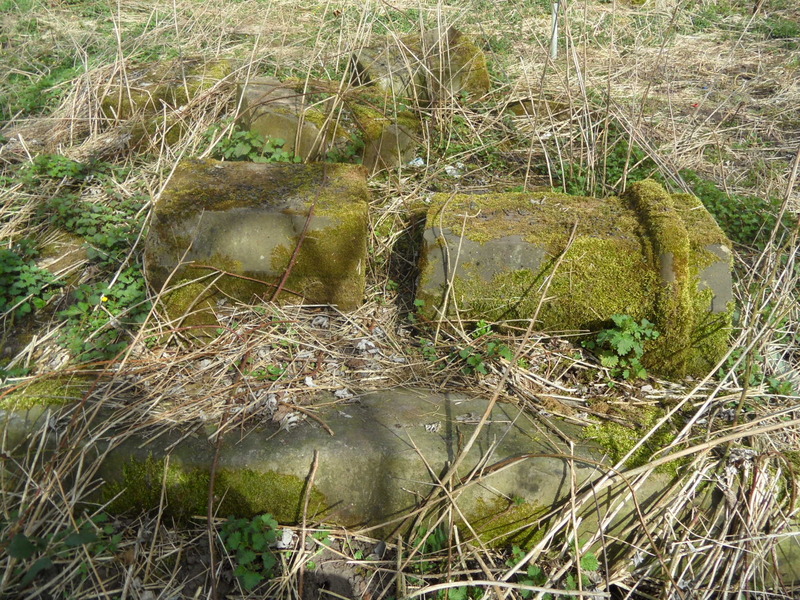 After lying around for some years covered in moss, the pillars from Fisherwick went to the George Hotel in Walsall – you can read the great post written about the hotel by Stuart Williams of Walsall Local History Centre here. However, I had no idea what had happened to the pillars, following the demolition of the hotel in the 1930s. 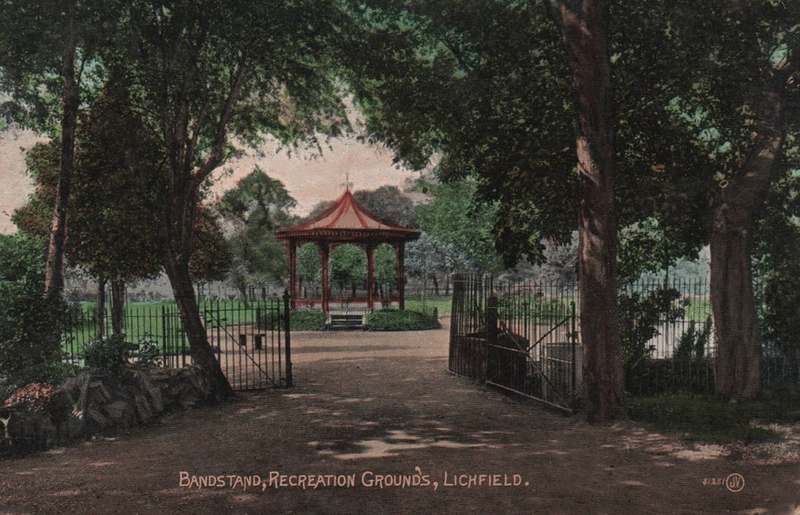 Therefore, I was delighted when Paul (the editor of the Lichfield Gazette) told me that someone had contacted him, saying that some years ago he had seen them lying on a patch of ground near to the cricket ground in the Highgate area of Walsall. 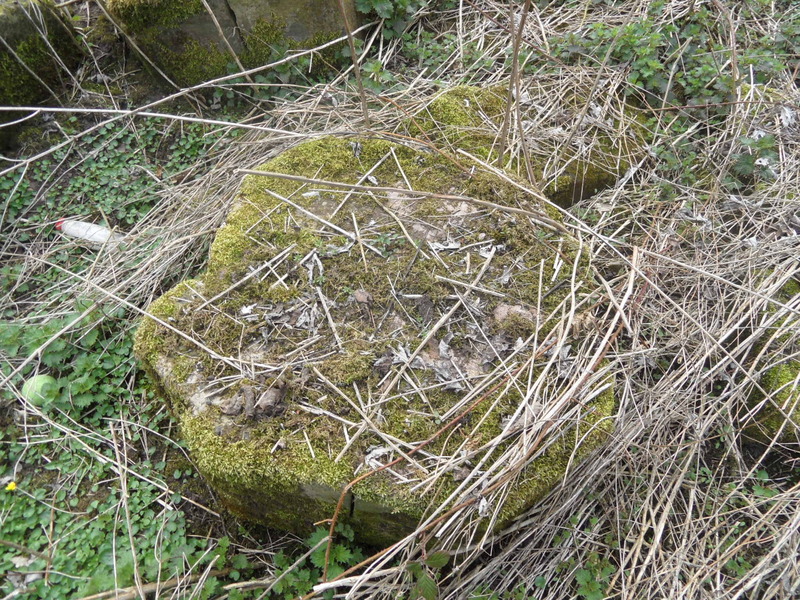 The gentleman described them as lying in pieces and covered with moss and lichen. Sounds familiar! Coincidentally, the site the gentleman described is a stone’s throw from where some of my relatives live, and so the next time I visited I went to take a look, but I had no luck in finding them. So near, yet so far…. A while ago, I wrote about the architect Thomas Johnson and how he had been involved in the restoration of the church of St Michael on Greenhill in 1842/3. In the newspaper archive, I found a report of a meeting of parishioners held at the church, prior to these restoration works. “the reroofing of the nave, the repair of the side aisles and the nave clerestory, the reintroduction of Perpendicular windows in the north aisle, the rebuilding of the north porch, and the remodelling of the south aisle with new buttresses and a south door in place of a window. The gallery was removed. 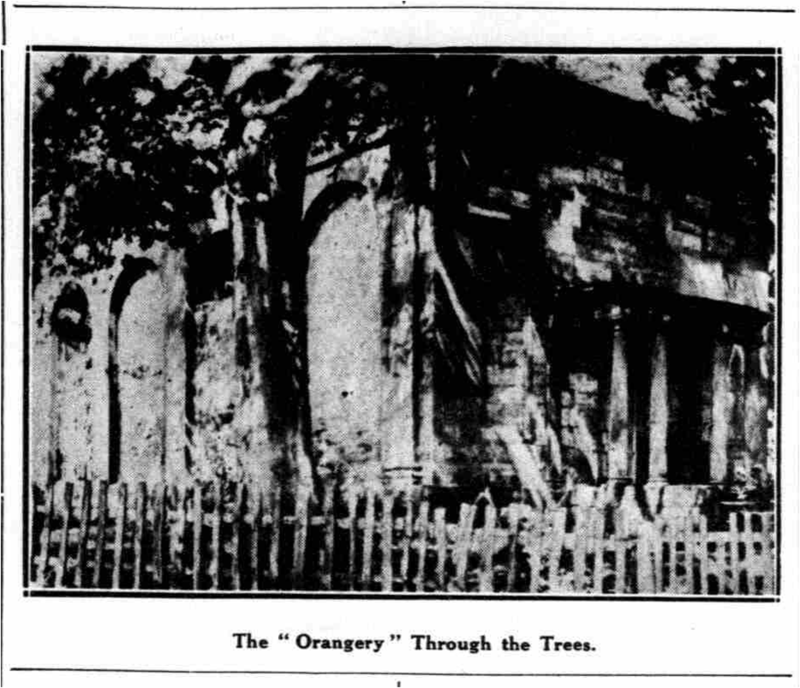 The mausoleum and the vestry room were replaced by a stokehold over which a clergy vestry was built with doors into the chancel and the south aisle; an organ loft was built over the vestry”. I have never been into the church myself. However, I notice via facebook that the church will be open for viewing tomorrow (between 3pm & 5.30pm) during the launch of the Bell Restoration Fund. You can find out more on their facebook page here and you can read the great article Annette Rubery wrote about the fund here. Although I’ve never been inside the church, I have been to the churchyard. 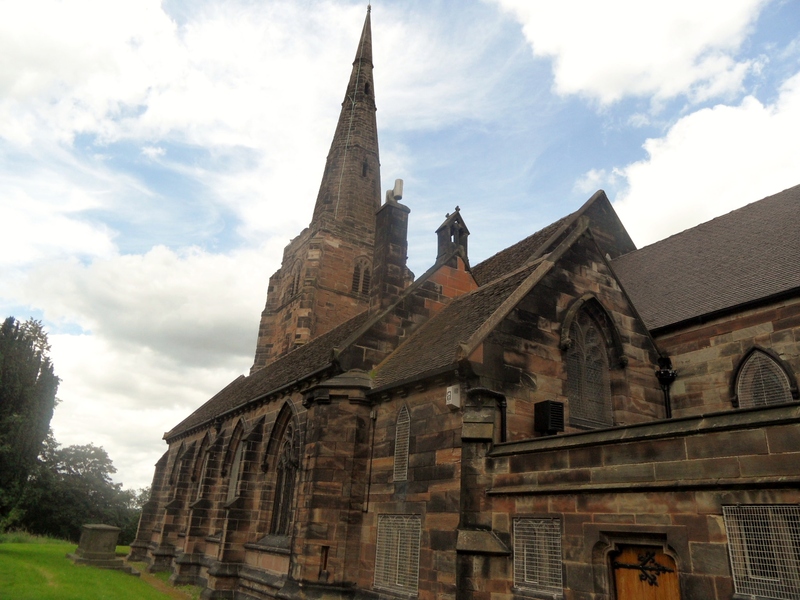 With claims on Wikipedia that it could be a Mercian tribal necropolis, the site of one of the earliest settlements in Lichfield or the burial place of followers of St Amphibalus, it certainly merits a post of its own one day! 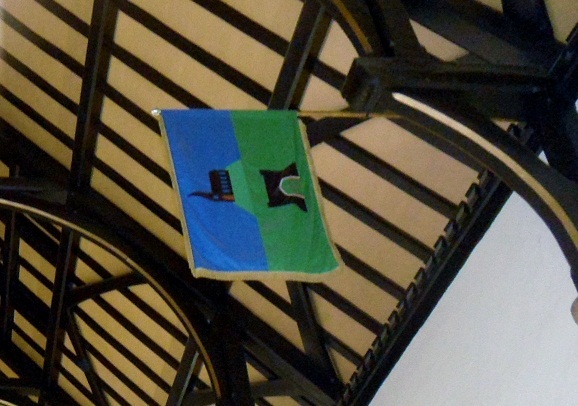 Edit: I’ve just been thinking about the building on the ward flag, below the church. 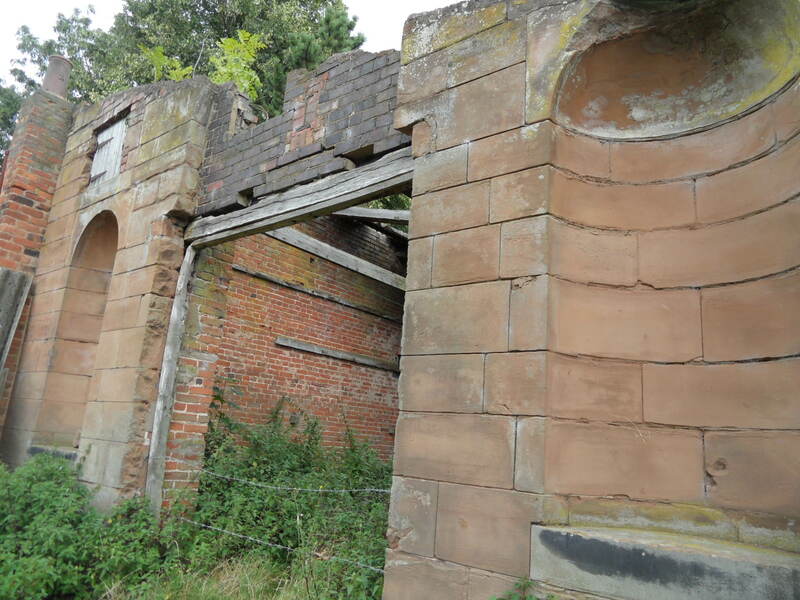 Could it in fact be the gateway to the old Lichfield Union Workhouse (subsequently St Michael’s Hospital). I know I haven’t updated about the cider orchard at The Walled Garden at Woodhouse Community Farm for a while. This is because nothing much has happened! More is going on in our cider co-operative than with our cider trees however. We’re meeting up soon to discuss the theory of cider, with a more practical day planned for the autumn. Will we have any apples by then? Maybe, but not from this orchard…..
There’s an open day at the farm this Sunday from 2pm to 5pm, which is a great opportunity to go along and have a look at this lovely place and find out more about the brilliant Community Supported Agriculture scheme they run. Say hi to the trees for me! 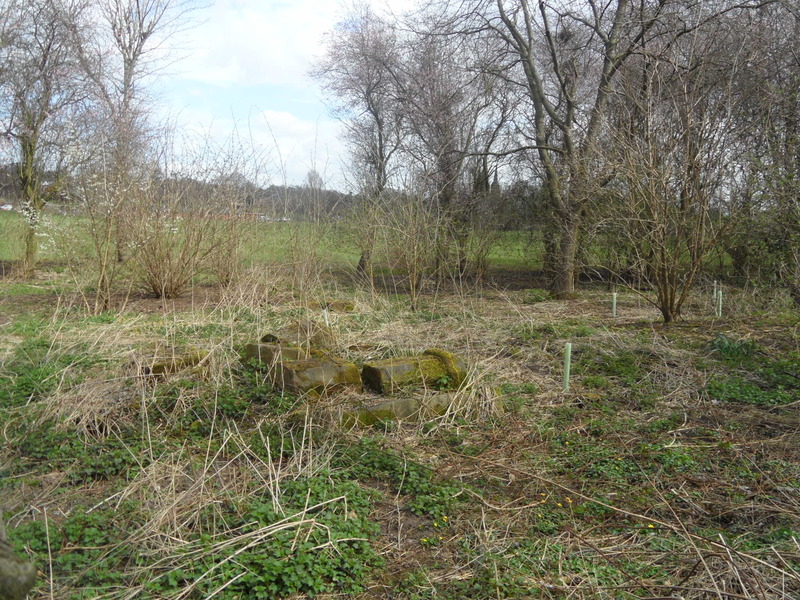 This week started with a brand new orchard and ended with an ancient woodland. 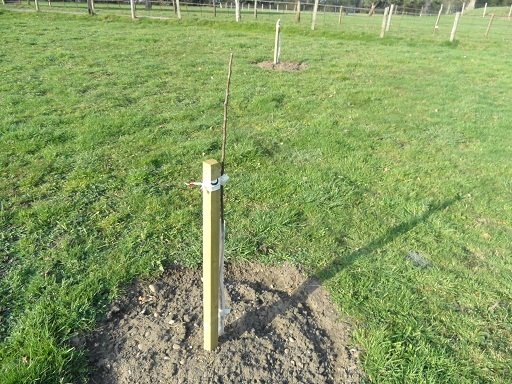 Last weekend, I helped to plant cider trees at Woodhouse Community Farm in Fisherwick. It wasn’t just the potential liquid reward that got me out of bed on a cold and frosty Sunday morning, there were a couple of other reasons! Orchards are becoming a rare habitat – according to Natural England, it’s estimated that the overall orchard area in England has declined by 63% since 1950. 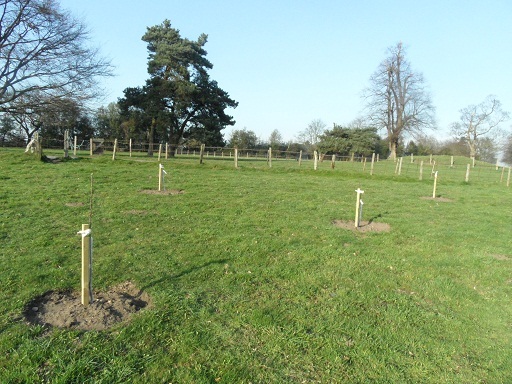 A traditional orchard can support around 1,800 species of wildlife. 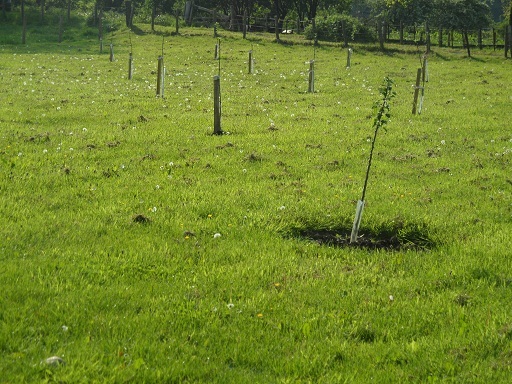 Although it will clearly take a while for the new cider orchard to reach this stage, I’m hoping that it will help to redress the balance a little bit! 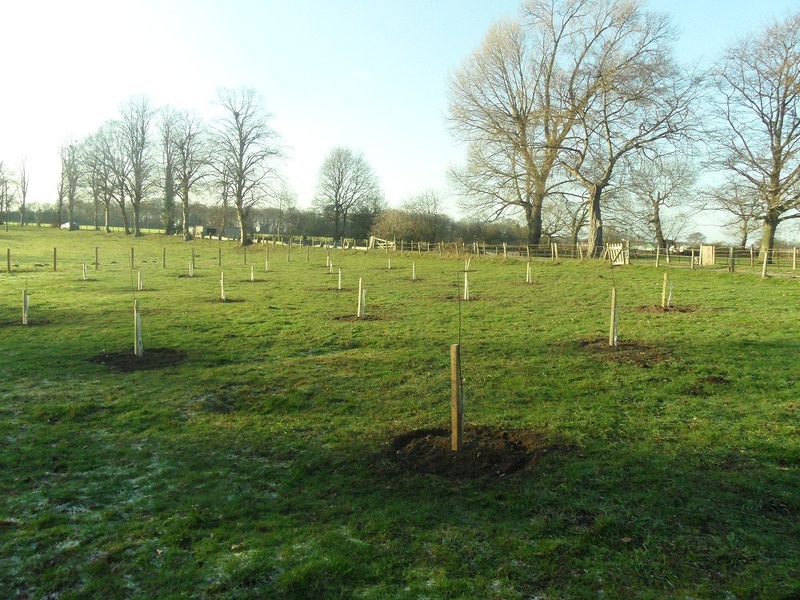 The People’s Trust for Endangered Species recently created an inventory of the traditional orchards in England, and you can read the summary of their findings for Staffordshire here. Being involved with the orchard will also give me an opportunity to learn something about some disappearing traditional skills and knowhow. 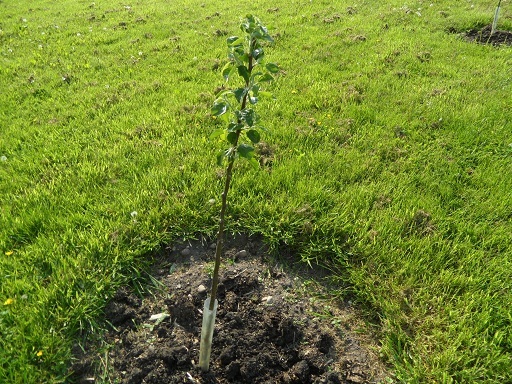 Growing fruit trees is a fascinating business, although I clearly have much to learn as I was the only person whose tree had to be dug up and replanted. Hopefully I’ll be better at the cider making bit, but if not, there’s always the cider drinking part which I’m fairly confident about. In contrast to this budding orchard, on Friday I found myself amongst much older trees. Merrion’s Wood is a lovely nature reserve, just outside Walsall town centre and looked after by Walsall Countryside Services. Bluebells are already starting to shoot up all over there and countryside ranger Morgan told me that these plants were an indicator of ancient woodland, along with several other species. 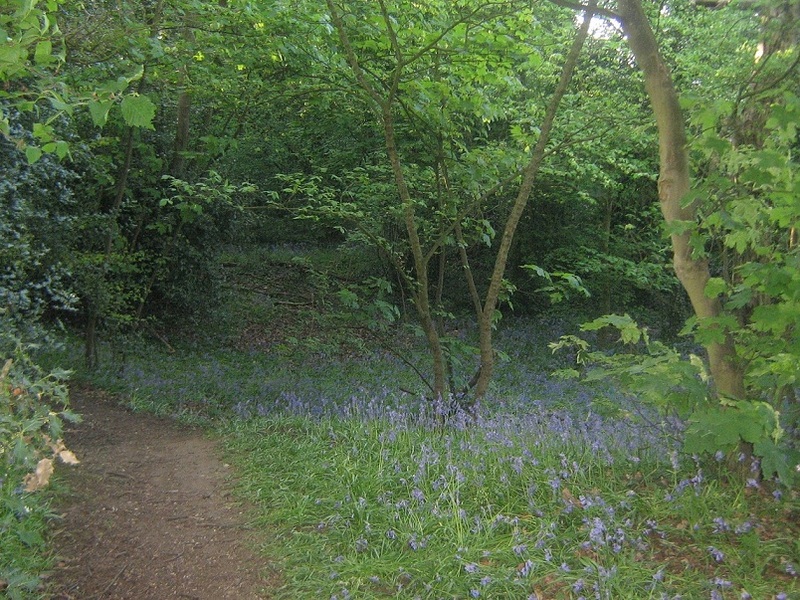 Leomansley Wood is full of bluebells in springtime. An interactive map of habitats from DEFRA confirms it as ‘ancient replanted woodland’. This means that although the site has been continuously wooded since 1600 (at least), the trees are more recent. It’s interesting that the place name is thought to include the celtic element ‘lemo’, meaning an elm (1) or possibly ‘leme’, lime tree. The ‘-ley’ suffix is thought to come from the Anglo Saxon ‘leah’ meaning ‘clearing’ (2). The DEFRA map also shows a traditional orchard between Maple Hayes and Jubilee Wood (where the conduits are!) with several others around Burntwood and Chorley. Perhaps even more interestingly, it seems there are two patches of traditional orchard in a built up residential area of Lichfield. I don’t know if I should say where, it might encourage scrumping! Don’t just take my work for how brilliant Woodhouse Community Farm is! There is a snowdrop walk on Sunday 5th February at 10.30am, where you can also see some of the things they have planned for the future. 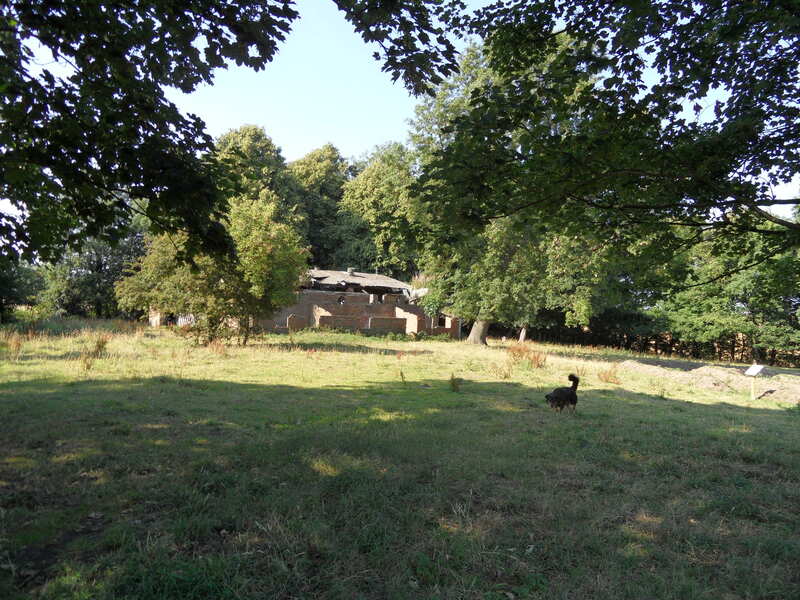 The Woodland Trust point out that although many ancient woodlands have been recorded on inventories, there may also be unidentified fragments out there. Although bluebells don’t always indicate ancient woodland, if you do spot any growing this spring it might be worth having a closer look to see what else is around! 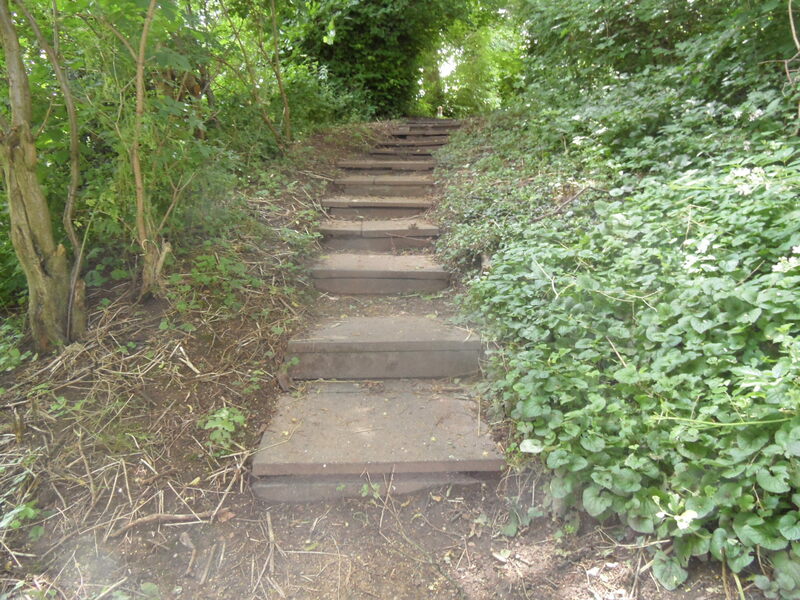 The Woodland Trust have a really interesting guide to ancient woodland that you can read by clicking here. 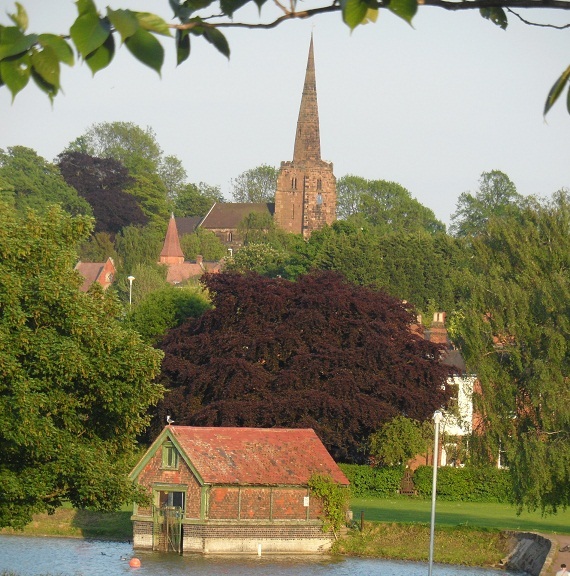 1) ‘Lichfield: The place and street names, population and boundaries ‘, A History of the County of Stafford: Volume 14: Lichfield (1990), pp. 37-42.